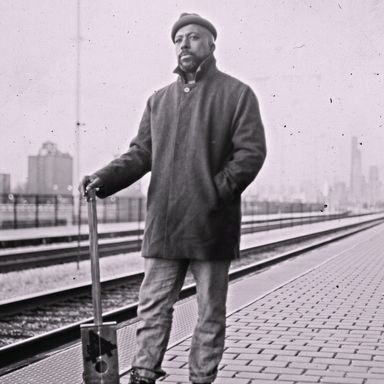 Ben LaMar Gay is a Chicago-born and based cornetist, composer, and vocalist. His debut album, Downtown Castles Can Never Block The Sun, is actually a collection of greatest hits compiled from seven albums Gay recorded over the last seven years but never released. Gay chose to hone in on a sound that departs from jazz traditions and traverses a musical universe of funk playfulness, Brazilian rhythms, poetry and lyricism, and offers us the sonic fruits of collaborations with mutant funk trio Bottle Tree, jazz trumpeter Jaimie Branch and synth-loopers Bitchin Bajas.